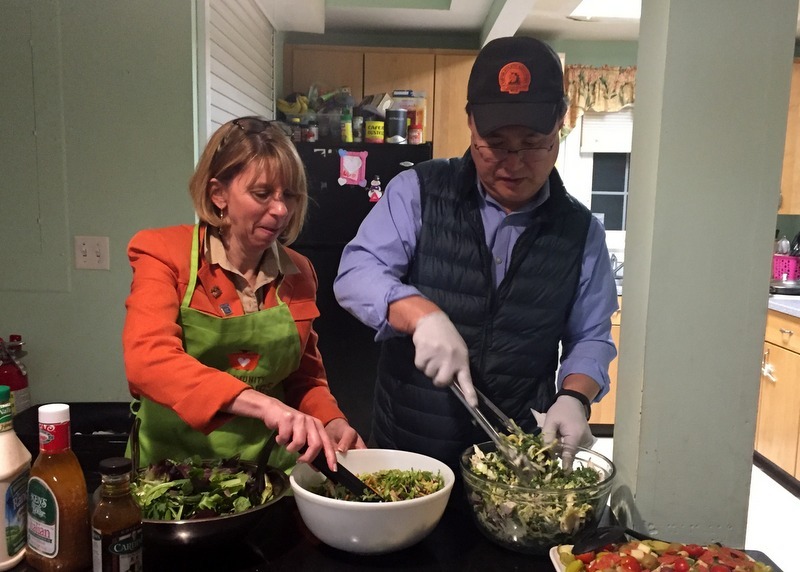 We had a great time today making a special Valentine's Dinner for our friends at The Second Step. Thanks to everyone who helped make it happen, especially Marie Presti (for the delicious sauce and meatballs! 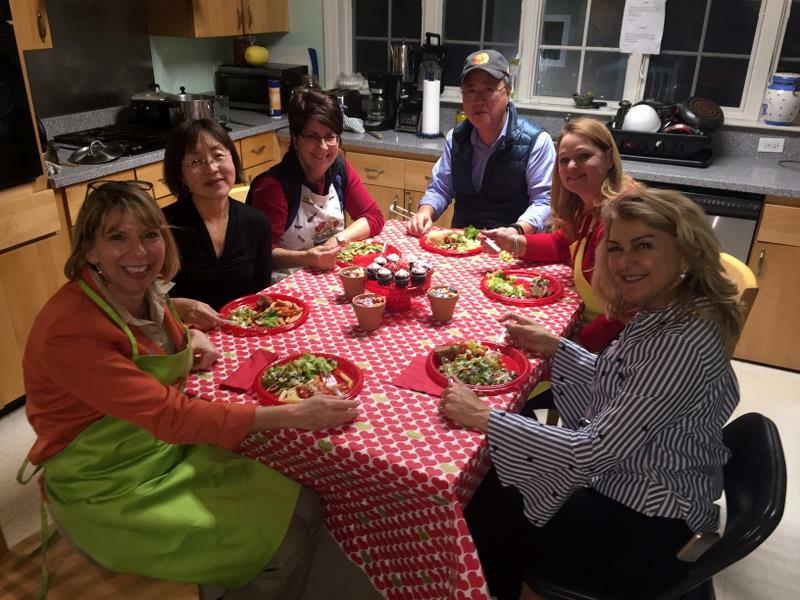 ), Chris Chu AIA (yummy pasta), David Park (outstanding salads and breads), Dave Sellers (plates, utensils and Sous Chef extrordinaire), Sara Pollock Demedeiros (delicious desserts) and Cindy Holle Laughrea, Rae Mintz and Susan Goorvich Paley for pulling it all together. 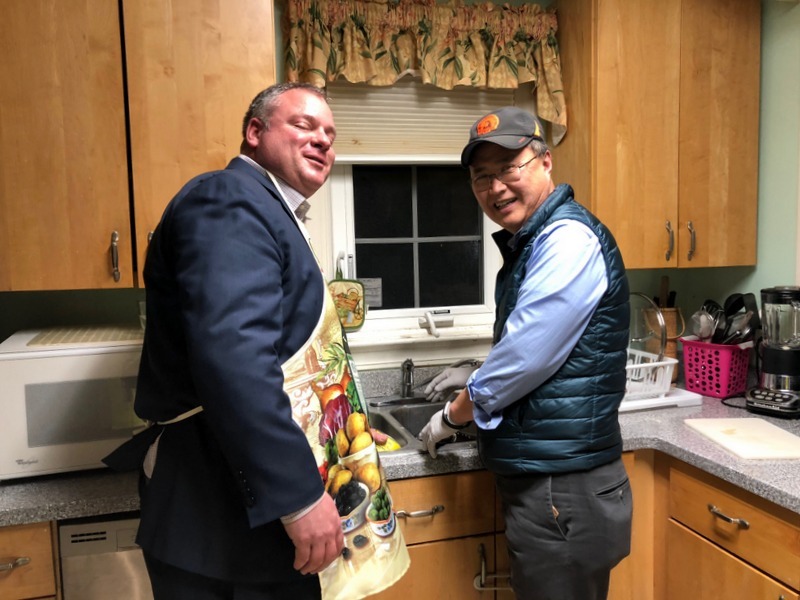 Do good, feel great, join Rotary Club of Newton! Marie made meatballs AND the sauce from scratch!